The first time I opened a box full of freeze dried food, I would have loved to have a “Tips for Using Freeze Dried Foods” list. I clearly remember opening that first box. The first thing I saw was the raspberries and I wondered what to do with them. I had no idea. 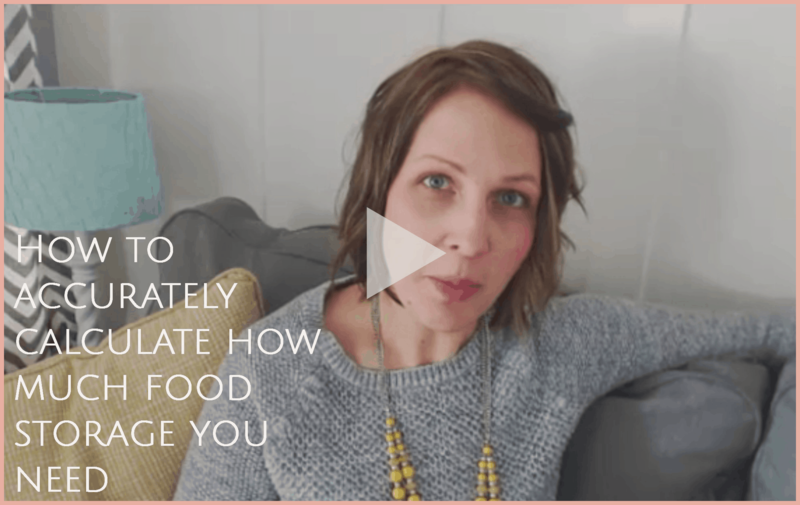 I think many of you have had the same experience since I get many emails each week asking me what to do with their food. While it really is quite simple, there can be a learning curve. 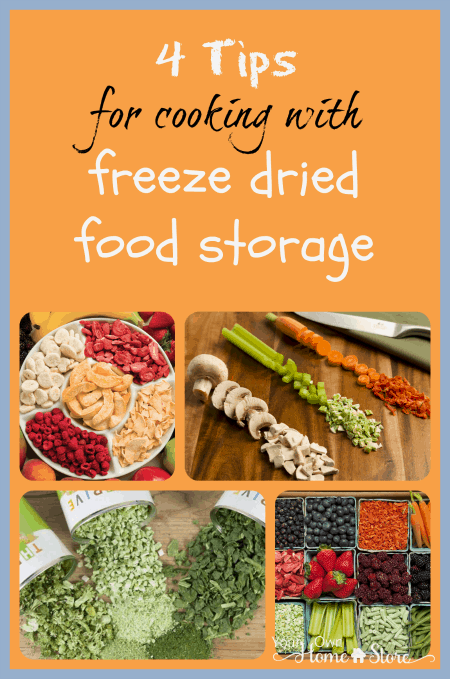 I hope you find these basic tips for using your freeze dried food helpful. At least a few times a week, someone asks me if it is okay to eat their freeze dried food dry. The answer is YES! 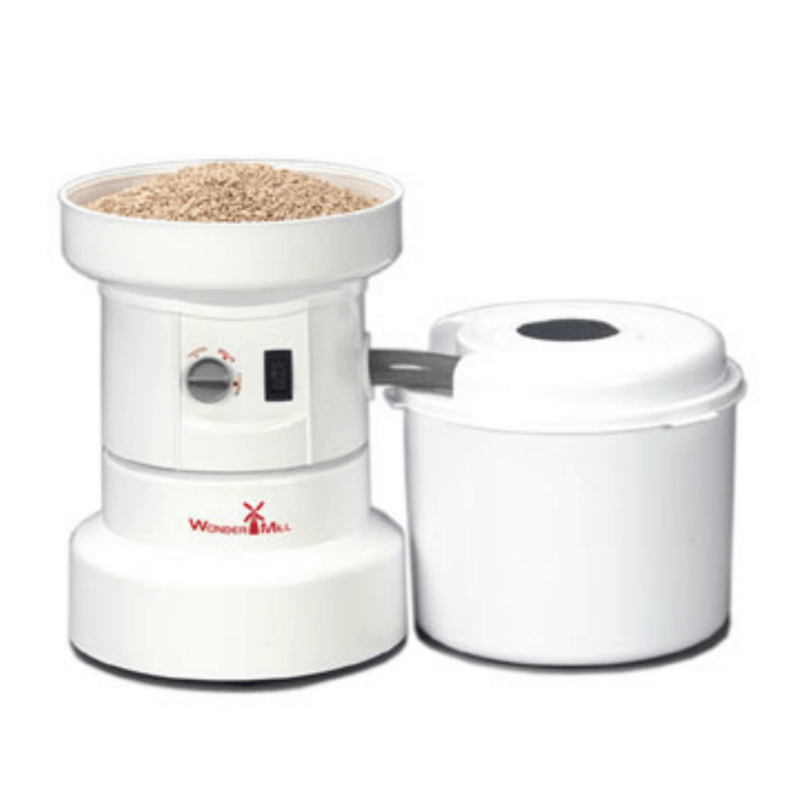 You can eat any / all of your freeze dried foods dry. 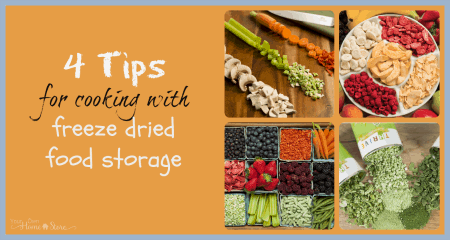 Unlike many dehydrated foods, freeze dried foods are not tough to chew. They are completely dry and almost fragile. They will crumble in your hands. The meats are all pre-cooked and then freeze dried so they are safe (I actually really enjoy the sausage as a snack). The fruits, and many of the veggies are delicious dry and very healthy. We completely replaced fruit snacks at our house with freeze dried fruits and veggies. The first time my kids tasted the corn, they asked if it was candy! Another favorite item to try dry is the yogurt. It is very sweet (almost too sweet for me)! Most of my customers seem to like the pomegranate flavor best. The first time I tried to hydrate those raspberries, I put them in a bowl of water, let them sit and then drained them. They ended up so soggy. They worked okay for soups / sauces, but didn’t taste much like a fresh raspberry. In addition, when you drain off the water, you also drain off a bunch of the water soluble vitamins. One big plus to freeze dried foods is that they are so nutritious. Over “watering” them negates this benefit. The best way to hydrate most freeze dried foods is to add just enough water that that it starts to “pool” at the bottom. Then, stir every so often. For most foods, this will be enough to reconstitute it as close to fresh as possible. You may need a bit more water for the meats. You can see Chef Todd using this method with the cheese in this video here. Sometimes, it is best to hydrate your ingredients individually and then add them to your recipe. This is true if the foods (1) will not be in water while cooking (like the filling of an enchilada) or (2) if they will be sitting in a thick sauce (like a creamy casserole filling) instead of a “watery” sauce (like broth or enchilada sauce). In those two cases, you should hydrate your ingredients first and then add to the recipe just like you would fresh foods. But if the food will be covered in liquid while cooking (like a soup or spaghetti sauce etc), just throw in all the ingredients, add about 2-4 T. extra water for every cup of freeze dried food and let it simmer! It’s super easy. 4. Don’t overcook your meat! While everything will hydrate faster in hotter water, I don’t suggest using boiling or even hot water with your meat. Remember, the meat is pre-cooked and then freeze dried. If you boil it again, you will overcook it. In my opinion, this gives it an odd texture. So, even though it takes longer, I choose to hydrate my meats in warm or even cold water and then add them to whatever I’m cooking. 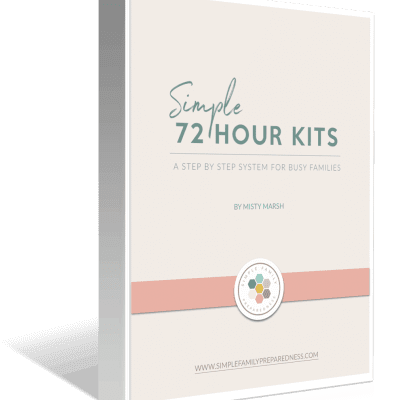 Thrive Life has a fantastic guide they’ve put out that general tips and conversion charts as wells as individual tips for each of their products. You can find it here: The Thrive Guide. 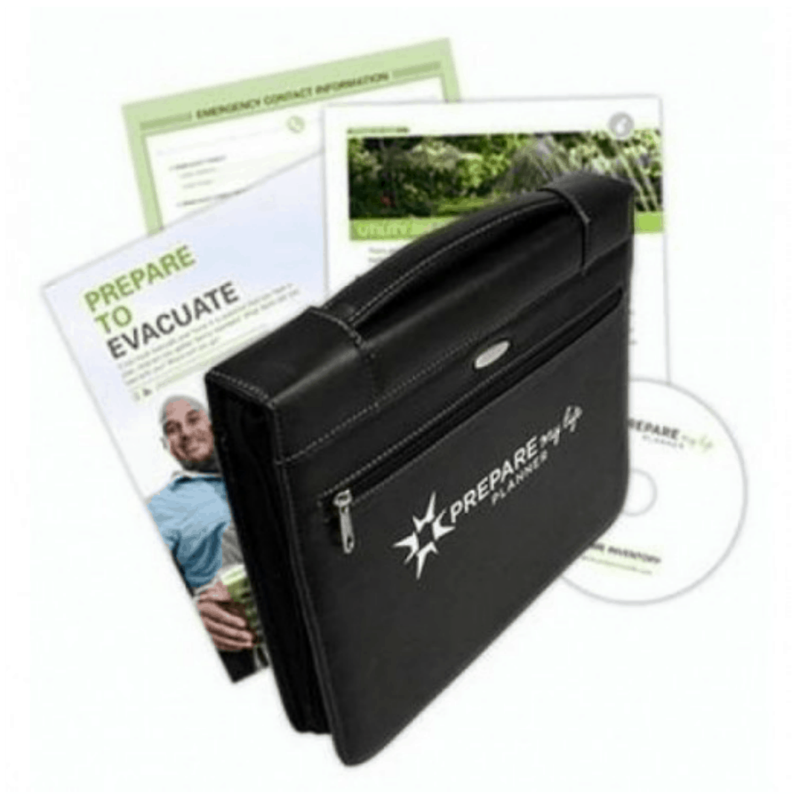 The Thrive Guide also comes free as part of the Smart Start packages which are a great way to get started with small amounts of a variety of freeze dried foods. There are three Smart Start: Taste of Thrive packages which are designed for use in your own recipes as well as three Smart Start: Chef’s Selections packages which come with all the ingredients for recipes created by a professional chef. 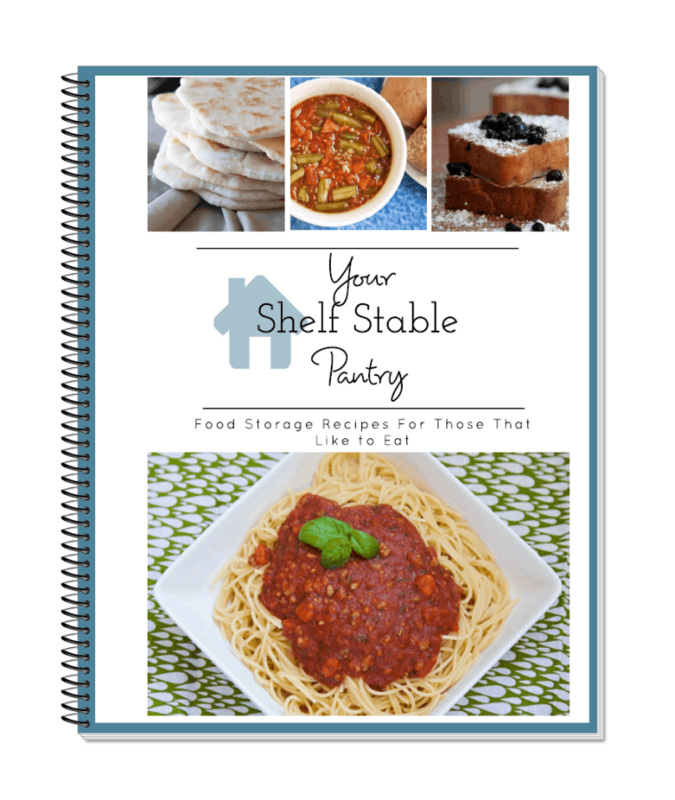 If you’d like a book of (family approved) 100% food storage recipes, I have a recipe book that you can find here or by clicking on the image below. Your blog is an excellent example of how a blog should look. It is easy to navigate. There was no need to wade through ads as you try and read the content. All ads are lined up on one side of the page and are there to read if one wants to do so. I won’t even try to read the content of most blogs and I will not subscribe to blogs where the info is peppered with ads. Thank you for a nice experience and the content is great! Sign me up! My freeze dryer arrived this last week and I can’t wait to try it. 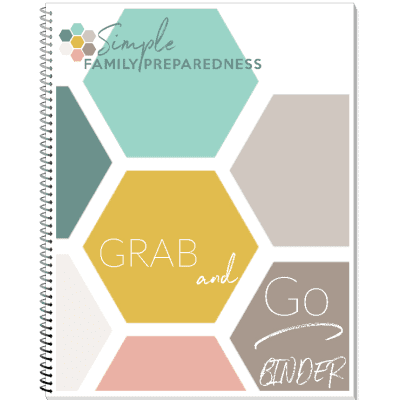 I look forward to reading more of your great blog on preparedness. Yay! Thank you so much for your very kind comment Nora! I’ve tried having ads before and it just isn’t worth it to me. I want those on my site to be able to find what they are looking for and not feel distracted / bombarded. I’m glad you appreciate it. Enjoy that freeze dryer! Yes, the leftover eggs (if cooked up) should be refrigerated or all eaten at once. If it is just the powder though, it should stay good in even a ziploc for a week to two though I can’t be sure since I don’t know what brand / food you are talking about specifically. The brand I buy (Thrive) come in a #10 can and once opened, they can just stay in that can for up to a year as a powder. That would work very well Mary! Any heat will cause a loss of nutrient in any veggies (freeze dried or otherwise), but they will still have quite a bit of nutrition. Go for it! When I make chicken salad with the freeze dried chicken I don’t add much water at all because I’m going to be adding some mayo and a bit of mustard for a kick to the chicken, onion and celery. I am with you on the Pomegranate Yogurt! Boy is it delish! I tried the blueberry yogurt today when my current shipment arrived and didn’t find it to be as good. Won’t be ordering that again. I have completely replaced fresh carrots and celery as well as all of my tomato sauce, paste and spaghetti sauce with the freeze dried carrots celery and the tomato powder. The tomato dices are also a regular this time of year. Yum in cooking for sure! 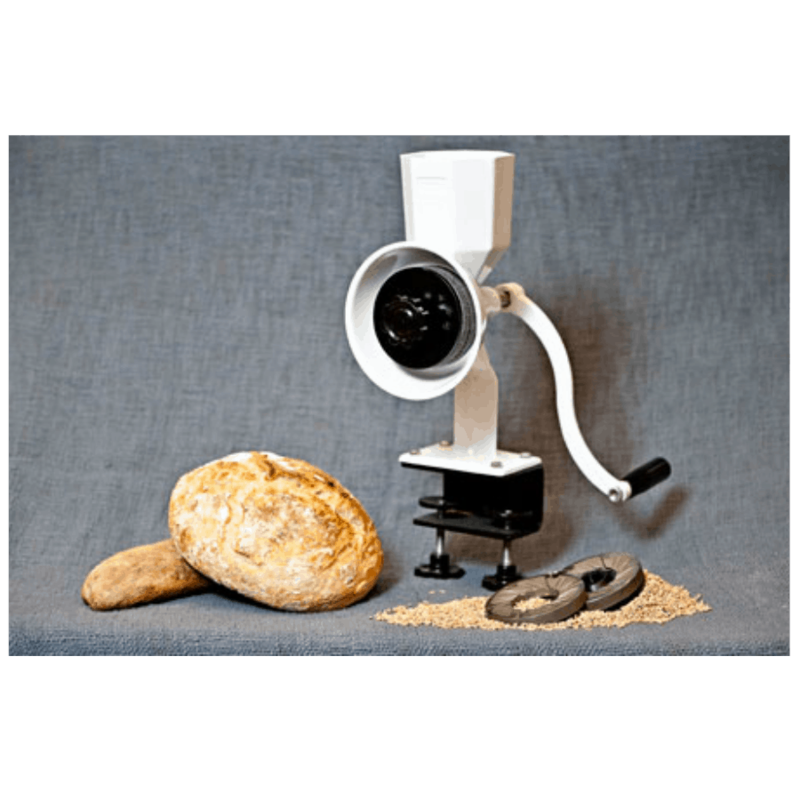 No one can tell what was fresh and what is freeze dried. I am hooked! They are terrific since we live in a 5th wheel full time and need to watch the weight of the items we choose to load into the camper. I am so glad that I found your blog and won that gift certificate!